Jurnal Ilmiah Islam Futura (JIIF) is published by Center for Research and Community Service (LP2M) in cooperation with the Graduate Program of State Islamic University (UIN) Ar-Raniry Banda Aceh, since 2001. It focuses on the development of Islamic Studies (Dirasah Islamiyah) which done through library research, or field research. The publication of this academic journal is intended to enrich Islamic sciences that have been developing in the present. The first address of online version of JIIF was www.islamfutura.org. However, since UIN Ar-Raniry had a new policy to unite all journals under one roof, JIIF changed the online version address to: http://jurnal.ar-raniry.ac.id/index.php/islamfutura started from 2016. Jurnal Ilmiah Islam Futura also has become a CrossRef Member since the year 2016. Therefore, all articles published by Jurnal Ilmiah Islam Futura will have unique DOI number. Jurnal Ilmiah Islam Futura is currently indexed and/or included by DOAJ, Crossreff, Index Copernicus, Google Scholar, Sinta, ISJD, Moraref, OAJI, WorldCat, Mendeley, DRJI, BASE, etc. In 2017 Jurnal Ilmiah Islam Futura has been accredited by Decree of the General Director of Strengthening Research and Development, Ministry of Research, Technology and Higher Education of the Republic of Indonesia Number 51/E/KPT/2017. This accreditation is effective from 4 December 2017 to 4 December 2022. 2nd floor Pascasarjana UIN Ar-Raniry Building, Jl. Ar-Raniry No. 1, Darussalam Banda Aceh, Aceh, Indonesia, 23111. E-ISSN : 2549-0648; P-ISSN : 2089-6239; Sinta 2 | NOMOR 21/E/KPT/2018 accredited by Decree of the General Director of Strengthening Research and Development, Ministry of Research, Technology and Higher Education of the Republic of Indonesia since 9 July 2018 - 9 July 2023. SHARE Journal of Islamic Economics and Finance is presented as an effort to promote the Islamic economics and finance knowledge to the world. Its establishment is aimed to be a scholarly journal with an international reputation. It is intended as a credible â€˜placeâ€™ for academicians and researchers across the globe to disseminate their works, studies, papers and other research forms. SHARE is published by Faculty of Islamic Economics and Business, Ar-Raniry State Islamic University Banda Aceh Indonesia. SHARE is a scholarly and refereed journal that provides an authoritative source of information for scholars, academicians, and professionals in the fields of Islamic economics and finance including business and management. The journal promotes the advancement, understanding, and practice of Islamic economics and finance. It provides an academic platform for professionals and researchers to contribute innovative work in the field. SHARE carries original and full-length articles that reflect the latest research and developments in both theoretical and practical aspects of business and management. The journal is published in both, printed and online which made available for free access and download. Share Journal of Islamic Economics and Finance has become a CrossRef Member since 2017. Therefore, all articles published will have unique DOI number. Jurnal Ilmiah Didaktika is a nationally and internationally peer reviewed general education journal open for teachers, educators and education researchers from the field of general education and related researches. We welcome all contributions that enhance and illuminate the discussion on education. 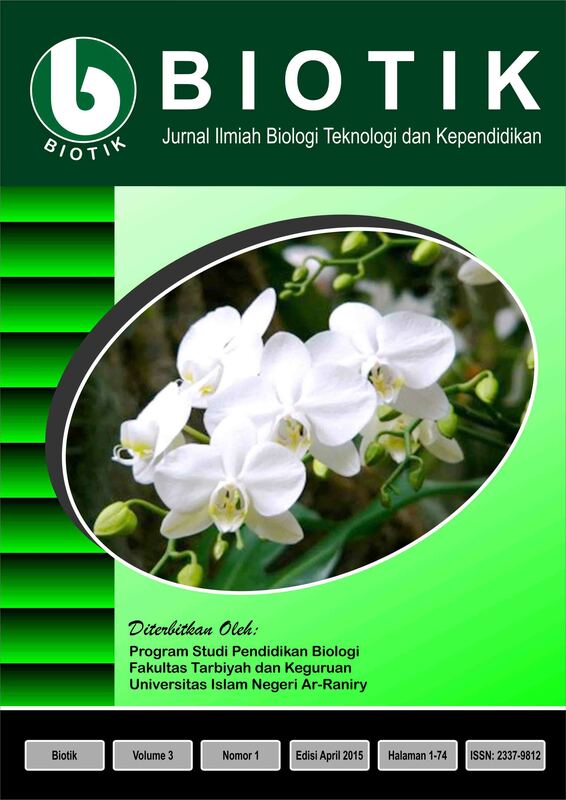 Jurnal Ilmiah Didaktika has been published continuously since 2000. Starting in year 2011, the journal issues are published online regularly under Open Access Policy. Jurnal Ilmiah Didaktika is currently indexed/included in DOAJ, SINTA 3,Â Google Scholar, Moraref, OAJI, Portal Garuda IPI, and DRJI. Elkawnie is a journal of Integration Science and Technology with Islam. It's covering research and technology in the field of study of Architecture, Biology, Chemistry, Environmental Engineering, ICT, Physical Engineering and other science and technology field. In particular, Elkawnie's journal discusses the development of research and technology in contributing to development as part of Muslim scientists in the academic sphere. Elkawnie has become a CrossRef Member since the year 2018. Elkawnie is currently indexed and/or included in DOAJ, Google Scholar, Garuda, IOS, DRJI, etc. And than Elkawnie has H-index 2 in Google Scholar. The History of Elkawnie Journal was started by switching the status of IAIN Ar-Raniry to UIN Ar-Raniry while the Faculty of science and technology of UIN Ar-Raniry was formed on October 13, 2013. As a form of institutional commitment to the tri dharma of higher education for lecturers, lecturer writing was formed in a Journal. This journal is named Elkawnie. The name Elkawnie itself comes from Arabic, namely Kaweah, which means verses that prove the signs of the existence of Allah SWT in human life. The Elkawnie Journal was formed on December 12, 2014, and began releasing the first time in Volume 1 Number 1 June 2015. In 2018 Elkawnie has been accredited by Decree of the General Director of Strengthening Research and Development, Ministry of Research, Technology and Higher Education of the Republic of Indonesia Number 34/E/KPT/2018. This accreditation is effective from 10 December 2018 to 10 December 2023. Office Address: Faculty of Science and Technology Building, State Islamic University of Ar-Raniry, Darussalam, Banda Aceh, 23111. Englisia Journal (EJ) is an open access, peer-reviewed journal that will consider any original scientific article that expands the field of language studies in English Language Teaching and various other related applied linguistics themes. The journal publishes articles of interest to language teachers, practitioners and language researchers. Manuscripts must be original and educationally interesting to the audience in the field. The goal is to promote concepts and ideas developed in this area of study by publishing relevant peer-reviewed scientific information and discussion. This will help language practitioners to advance their knowledge for greater benefit and output in their professional contexts. Jurnal EDUKASI (Media Kajian Bimbingan Konseling) is a peer-reviewed open-access scholarly journal managed and published by Program Studi Bimbingan Konseling Fakultas Tarbiyah dan Keguruan UIN Ar-Raniry Banda Aceh. The journal publishes various researches and literary reviews in the field of Education science and Educational Counceling providing reviewed scholarly articles that suggest new concepts and best practices for teachers, lecturers, researchers, and education counceling practitioners in various places. 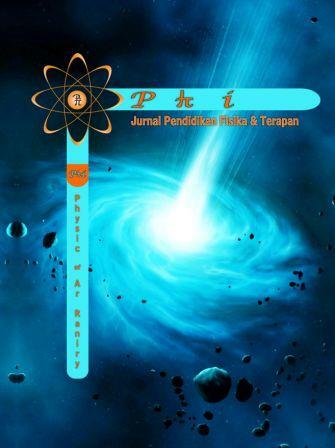 This journal was established and initiated by a group of experts in Education Science and Education Counceling in Universitas Islam Negeri Ar-Raniry. 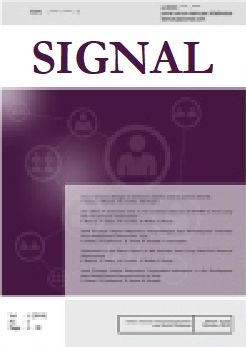 This journal is published biannually in January and July; registered with ISSN 2460-4917 & E-ISSN 2460-5794. Ar-Raniry International Conference on Islamic Studies (ARICIS) focuses on the Islamic Civilization (tamaddun) which is clearly under threat both from within and without. Internally, there is the emergence of radical Jihadists who actively promote a conformist mentality intolerant of diversity and difference. Externally, there is the widespread attraction of the materialist lifestyle weakening individual social conscience and undermining community ethical values. Both threats present real challenges for the future of the Islamic Civilization, especially for its intellectual leaders. Muslim societies are now confronted by the dominant materialistic thought patterns being promoted worldwide among liberal academics and through global media. They are also challenged by anti-islamic sentiments widespread in the West and many Asian countries. Some thoughtful responses by informed observers to these immensely important issues have been convened in several academic institutions outside Indonesia. This is an ongoing discussion which requires fresh contributions from our own intellectual leaders with the active collaboration of many more educators and officials. As part of this ongoing discussion, the Ar-Raniry International Conference on Islamic Civilization aims to advance the academic culture and quality of thought among scholars worldwiide who have concern on Islamic Studies. Hence, the ultimate goal of reawakening Islamic social ethics and strengthening intellectual and spiritual traditions for the benefit of the contemporary ummah and all humanity can be achieved. In 2018, ARICIS II will be held in conjunction with ICAIOS VII (the seventh International Conference on Aceh and Indian Ocean Studies) on 7-9 August 2018 at UIN Ar-Raniry Banda Aceh. More information about it can be read here (http://bit.ly/icaios2018). (2) If you find difficulties, please kindly goÂ through the second way (http://bit.ly/icaios2018). Al-Bayan Journal is a journal published by the Da'wah and Communication Faculty, U-Ar-Raniry. Al-Bayan raises themes around Da'wah and Social Sciences. Editor of Al-Bayan Journal accepts scientific articles related to the development of Islam in terms of various aspects (humanities, social culture, law, philosophy, education, leadership, community development, guidance and counseling, psychology, communication, journalism and various other dimensions) that can be correlated with the latest issue of da'wah. 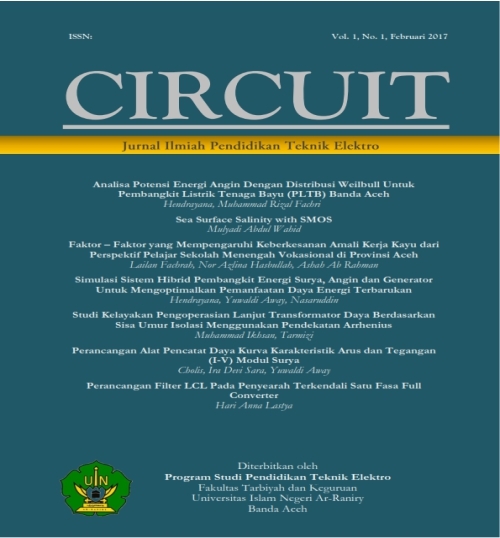 Journal Circuit is an Electrical Engineering Education Scientific journal which published by the Electrical Engineering Education Department, Faculty of Teaching and Training, Ar-Raniry State Islamic University, Banda Aceh. The Circuit Journal publishes empirical and theoretical contributions in the electrical engineering education scientific from the students, lecturers, professors or other scientists. The Circuit Journal manuscripts provide an original fundamental research, related to electrical engineering, electrical engineering education, and vocational education. The Circuit Journal also embossing the interpretative reviews, and discussion of new development in electrical engineering education. The paper which describes literature theory and its application to practice are welcome, as well as it illustrates the transfer of techniques or electrical engineering from other disciplines. Reports which executed experimental work and original research result are also welcome. In addition, the Circuit Journal publishes papers dealing with topics in electrical, power engineering, digital system, engineering technology, power energy, electronics, vocational education, vocational learning and teaching, and vocational management. Papers in which knowledge from other disciplines that is integrated with electrical engineering are kindly accepted. We are enthusiastic in receiving comments or feedback on our journal and we are welcome for the interesting articles for the Circuit Journal. Jurnal Bunayya (Jurnal Pendidikan Anak) Terbit 6 bulan sekali (Januari dan Juli) sudah dimulai sejak juni 2015, diterbitkan oleh program studi Pendidikan Islam Anak Usia Dini, Fakultas Tarbiyah dan Keguruan, UIN AR-RANIRY. Jurnal ini diharapkan sebagai media bagi dosen, peneliti, praktisi, guru, mahasiswa dan masyarakat luas yang memiliki perhatian terhadap bidang pendidikan dan pembelajaran anak usia dini. Redaksi menerima naskah berupa hasil penelitian, studi pustaka, pengamatan atau pendapat atas suatu masalah yang timbul dalam kaitannya dengan perkembangan bidang-bidang di atas dan belum pernah diterbitkan oleh jurnal lain. Redaksi berhak memperbaiki atau mempersingkat tanpa mengubah isi. Artikel dimuat setelah melalui tahap seleksi. GENDER EQUALITY : International Journal of Child and Gender Studies, a journal focuses on issues related to child and gender studies, is published by Center for Child and Gender Studies, State Islamic University of Ar-Raniry, Banda Aceh. The scope of article received can be approached from multidisciplinary context linking to child and gender studies. Hence, this journal appreciate contribution of knowledge from different perspectives such as education, law, social, political, religion, culture, economic, psychology, science and technology. Lantanida Journal is an open access journal that publishes original research articles, literature reviews, and brief communication in all fields of chemistry, chemistry education, and education development. In addition, this journal also addresses the issue of chemistry and chemistry educations research that is integrated with Islamic values. Lantanida Journal is currently indexed and/or included in Google Scholar, Moraref and IPI. Office Address: Department of Chemistry Education, Faculty of Education and Teacher Training, State Islamic University of Ar-Raniry, Darussalam, Banda Aceh, 23111. The Legitimasi Journal (the Journal of Criminal and Political Law) published biannually in January and July, is published by the Faculty Shariah and Law UIN Ar-Raniry Banda Aceh. Its purpose is to promote the study of criminal law and Islamic law in general and to discuss discourses of the development of criminal law and government policies in various perspectives. It is also to help in the understanding of criminal law and politic of law in Indonesia. Cyberspace Journal is an open access, peer-reviewed journal that will consider any original scientific article that expands the field of information technology education and various other related applied computer sciences themes. The journal publishes articles of interest to Information technology teachers, researchers and practitioners. Manuscripts must be original and educationally interesting to the audience in the field. The goal is to promote concepts and ideas developed in this area of study by publishing relevant peer-reviewed scientific information and discussion. This will help information technology practitioners to advance their knowledge for greater benefit and output in their professional contexts. Jurnal Al-Ijtima'i adalah jurnal yang diterbitkan oleh Fakultas Ilmu Sosial dan Ilmu Pemerintahan Universitas Islam Negeri (UIN) Ar-Raniry Banda Aceh. Jurnal ini terbit sejak tahun 2015 dengan ISSN 2476-9029. Jurnal ini merupakan media untuk mengembangkan ilmu-ilmu sosial dan ilmu pemerintahan yang sesuai dengan perkembangan zaman. Jurnal ini terbit dua kali dalam setahun (Oktober dan Maret). Al Khawarizmi: Jurnal Pendidikan dan Pembelajaran Matematika merupakan jurnal ilmiah berbasis open access yang dikelola oleh prodi Pendidikan Matematika Fakultas Tarbiyah dan Keguruan UIN Ar-Raniry Banda Aceh yang fokus pada publikasi hasil penelitian atau pemikiran dalam bidang pendidikan dan pembelajaran matematika mulai dari jenjang pendidikan dasar, menengah, sampai dengan perguruan tinggi. Jurnal ini pertama kali bulan Juni 2017. dan dipublikasikan dua kali dalam setahun (Juni dan Desember). Jurnal Peurawi merupakan salah satu jurnal media kajian komunikasi Islam yang berkontribusi dalam meningkatkan kepionaran keilmuan komunikasi dan penyiaran Islam, berbasis open-access, menerbitkan karya tulis ilmiah berbasis riset komunikasi dan pengintegrasian ilmu komunikasi dan dakwah. Jurnal Peurawi menghimpun dan mendorong para penulis atau ilmuan komunikasi untuk melakukan penelitian sekaligus memediasi publikasi karya-karya yang berkualitas baik lokal, nasional dan internasional. Jl. Ar-Raniry No. 1, KOPELMA Darussalam. Komplek Pascasarjana UIN Ar-Raniry. Banda Aceh. 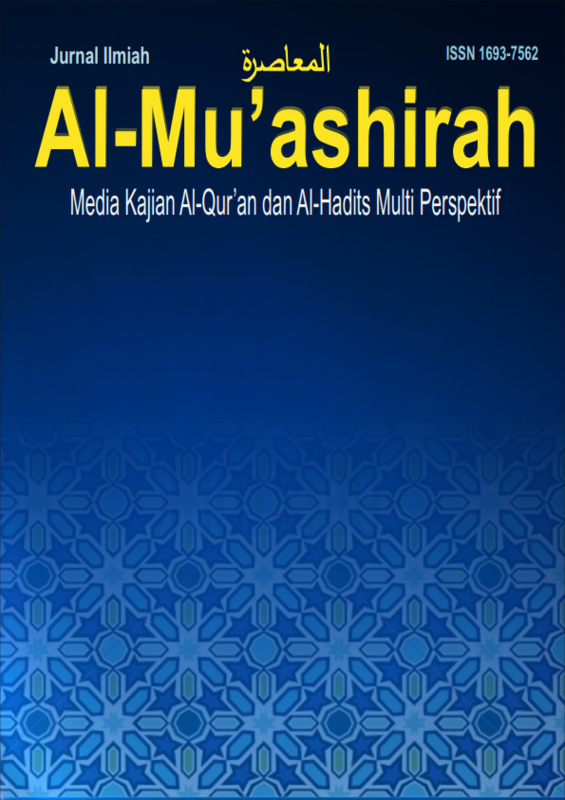 Jurnal Ilmiah Al-Mu’ashirah (JIM) is published by South East Asia Regional Forum Intellectual Qoran Hadith (SEAR FIQH) in cooperation with Faculty of Ushuluddin and Filsafat State Islamic University Ar-Raniry Banda Aceh, since 2002. It focuses on the development Qoran and Hadith multi perspective. The publication of this academic journal is intended to enrich Qoran and Hadith sciences that have been developing in the present. Registered with Print ISSN 1693-7562 and Online ISSN 2599-2619. PETITA: Jurnal Kajian Ilmu Hukum dan Syariah is law journal publishing research results, legal theory, legal philosophy, constitutional law, legal debate, socio-legal, and other recent issues relating to case law.Â The journal basically establishes to provide the debate on current law issues in Indonesia, having very dynamic law and has a lot of plural issues, such as on human rights, international laws, Sharia law, constitutionality of parliamentary products, law and politics, and election justice. The articles from worldwide are considered to publish as long as fulfilling all of submission requirements. Petita is issued two times a year, April and November. The deadline submission for April period is in 28 February, and 30 September for November period. Jurnal Samarah: Jurnal Samarah adalah jurnal ilmiah berbasis Open Journal Systems (OJS) yang dikelola oleh Prodi Hukum Keluarga Fakultas Syari’ah dan Hukum Universitas Islam Negeri (UIN) Ar-Raniry Banda Aceh. Jurnal Samarah ini merupakan wadah bagi insan peneliti dan pemerhati hukum keluarga Islam dan hukum Islam untuk dapat mengembangkan keilmuan dalam rangka pemenuhan Tri Dharma Perguruan Tinggi, terutama keilmuan di bidang hukum Keluarga Islam dan hukum Islam. Jurnal Samarah diterbitkan dua kali dalam setahun, yaitu Januari-Juni dan Juli -Desember. LIBRIAÂ is a national journal published by the Library of Post Graduate Program Â Ar-Raniry Â State Islamic University , Banda Aceh, INDONESIA. It specializes in the subject related to the Librarianship, Â information and documentation. It was first published in 2009. This journal warmly welcomes contributions from scholars of related disciplines. Kesadaran penerapan prinsip-prinsip ekonomi syariah dalam seluruh aktivitas ekonomi semakin meningkat seiring dengan adanya bukti empiris bahwa sistem ekonomi konvensional belum sepenuhnya mampu meningkatkan kesejahteraan masyarakat secara keseluruhan. Penerapan sistem ekonomi konvensional justru menyisakan warisan masalah seperti meningkatnya ketimpangan pendapatan, semakin lebarnya jurang kemiskinan dan persoalan-persoalan lainnya yang berdampak pada adanya â€œmarginalisasiâ€ satu golongan terhadap golongan lain. Kehadiran ekonomi syariah diharapkan mampu menyelesaikan berbagai persoalan dalam ekonomi sehingga tercipta pembangunan ekonomi yang berkeadilan dan dapat dinikmati oleh seluruh masyarakat. Namun dalam prakteknya, penerapan prinsip-prinsip ekonomi syariah perlu didukung oleh penelitian baik empiris maupun teoritis. Kehadiran jurnal Ekonomi Dan Bisnis (Ekobis) syariah tidak hanya bermaksud untuk mempublikasikan hasil kajian empiris dan teoritis terkait dengan ekonomi ekonomi dan bisnis, tetapi juga menjadi media diseminasi hasil penelitian yang berkaitan dengan ekonomi dan bisnis syariah. Redaksi Fakultas Syariah Dan Hukum, UIN Ar-Raniry Darusslam. Banda Aceh. Aceh, Indonesia. Jurnal Dusturiah ini fokus pada bidang kajian Hukum Islam, Perundang-undangan dan Pranata Sosial. 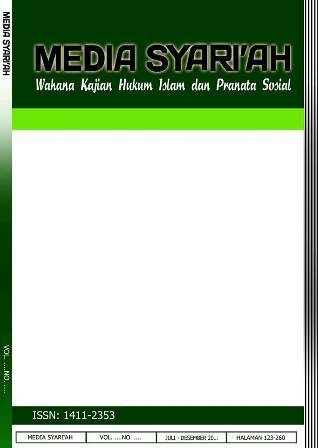 Media Syari'ah is a six-monthly journal published by the Faculty of Sharia and Law of the State Islamic University of Ar-Raniry Banda Aceh. The journal is published since February 1999 (ISSN. 1411-2353) and earned accreditation in 2003 (Accreditation No. 34/Dikti/Kep/2003) and E-ISSN 2579-5090 (No.0005.25795090/Jl.3.1/SK.ISSN/2017.04). Media Shariah has been indexed Google Scholar and other indexation is processing some. 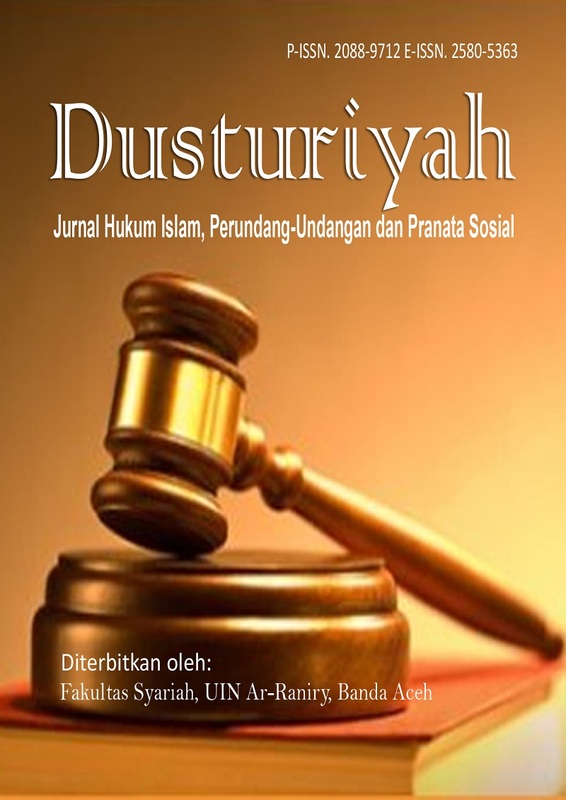 Media Syari'ah envisioned as the Forum for Islamic Legal Studies and Social Institution, so that ideas, innovative research results, including the critical ideas, constructive and progressive about the development of Islamic law from local issues, national, regional or international levels can be broadcasted and published in this journal. This desire is marked by the publication of three languages, namely Indonesia, English, and Arabic to be thinkers, researchers, scholars and observers of Islamic law and social institutions of various countries can be publishing an article in Media Syari'ah. Media Syari'ah Editorial Board composed of national and international academia, part of which are academicians of the Faculty of Sharia and Law of the State Islamic University of Ar-Raniry Banda Aceh. This becomes a factor Media Syari'ah as prestigious journals in Indonesia in the study of Islamic law. Recommendations from the editor to scope issues specific research will be given for each publishing Publishing in January and July. Al-Idarah: Jurnal Manajemen dan Administrasi Islam is an open-access based journal that contributes to improving scientific knowledge, especially in Indonesia related to its relevance in the development and application of management and administration sciences. This journal is managed and published periodically by the Research and Publishing Center of Universitas Islam Negeri Ar-Raniry Banda Aceh in collaboration with the Da'wah Management Department of the Da'wah and Communication Faculty of Universitas Islam Negeri Ar-Raniry Banda Aceh. Generally, Al-Idarah accept and publish various writings and results of scientific research related to the theme of the development and application of management and administrative sciences in terms of all aspects. More specifically, related to the development and application of Islamic management and administration science, such as the Development of Da'wah Management, Mosques, Alms, Pilgrimage, Islamic Organizations, and various development and application of management science and other Islamic administrations. From the beginning of its publication in 2017, Al-Idarah has been registered with CrossRef. all articles published by Al-Idarah will have a DOI number. Al-Idarah Journal is also indexed by: DOAJ, Google Scholar, Garuda IPI Portal, Moraref, BASE, Academia Edu, WorldCat and others. Da'wah Management Department Da'wah and Communication Faculty Universitas Islam Negeri Ar-Raniry Banda Aceh, Indonesia, 23111. TAKAMUL is a journal of Gender and Child Studies is published by the Department of Research and Public Service of Universitas Islam Negeri Ar-Raniry Banda Aceh. First published in 2012, this journal is published twice a year in June and December. This is a scientific communication media for enthusiasts and observers of gender and children study. The editor receives articles of gender and children study from academics, researchers, practitioners, and postgraduate students. The articles will be published after a mechanism of selection, being examined by the expert, and editing process. This journal is open-access which means that everyone can access for individual or institution for free. A user will be allowed reading, downloading, copying, distributing, producing, creating a link from the article, or using for academic writing under the condition of publication ethics. This journal has been indexed by national and international indexing website, such as CrossRef. And this journal has Digital Object Identifier (DOI). Jurnal KOMPETENSI (Jurnal Pendidikan dan Pembelajaran) merupakan jurnal ilmiah yang dikelola oleh Instructional Development Center Fakultas Tarbiyah dan Keguruan UIN Ar-Raniry Banda Aceh yang berbasis open-access yang memuat hasil penelitian, kajian pustaka dan berita-berita terbaru tentang Ilmu Pendidikan secara khusus agar para tenaga pendidikan mampu memahami teknik-teknik terbaru dalam menjalankan tugasnya. Jurnal ini terbit pertama kali bulan Januari 2006 dengan ISSN 0126-3390. Jurnal ini terbit dua kali dalam setahun (Januari dan Juli). At-Taujih: Bimbingan dan Konseling Islam ISSN 2598-585X (Print) | 2614-4980 (online) merupakan salah satu jurnal ilmiah dalam bidang Bimbingan dan Konseling Islam berupaya memberikan kontribusi dalam dunia keilmuan Islam dan Modern, dan sebagai salah satu sarana untuk memperkaya khazanah keilmuan bimbingan dan konseling Islam yang open-access, menerbitkan karya tulis ilmiah berbasis riset. At-Taujih: Bimbingan dan Konseling Islam mendorong semua pihak yang berkecimpung dalam ranah Bimbingan dan Konseling untuk melakukan riset ilmiah baik skala lokal, nasional maupun internasional dan mempublikasinnya di Jurnal At-Taujih. Islamic Studies Journal (ISJ) merupakan jurnal yang diterbitkan oleh Senat Mahasiswa Pascasarjana UIN Ar-Raniry Banda Aceh. Jurnal ini memuat pemikiran-pemikiran mahasiswa, dosen, guru besar tentang kajian keislaman di Asia Tenggara. JIHBIZ :Global Journal of Islamic Banking and Finance. 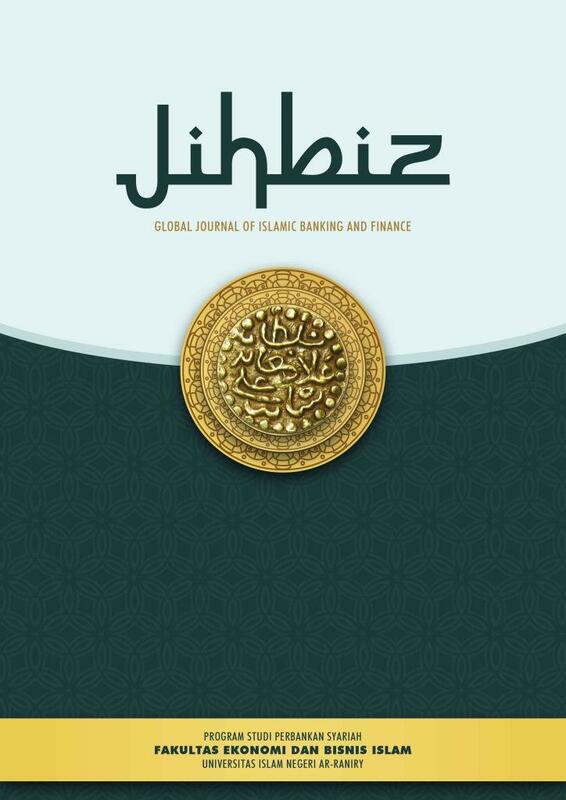 JIHBIZ :Global Journal of Islamic Banking and Finance. JIHBIZ merupakan jurnal untuk seluruh kalangan di dunia yang tertarik tentang Perkembangan ilmu maupun praktik Perbankan dan Keuangan Syariah dalam sistem perekonomian dunia. Jurnal ini dilahirkan oleh Fakultas Ekonomi dan Bisnis Islam (FEBI) UIN Ar Raniry di bawah pengelolaan Program Studi Perbankan Syariah. JIHBIZ merupakan jurnal global untuk perbankan dan keuangan syariah yang memberi kesempatan kepada berbagai kalangan untuk mempublikasikan ide dan pemikiran dari hasil penelitian dan kajian ilmiah kepada dunia. Jurnal Al Battani, merupakan Jurnal Pendidikan dan Teknologi Informasi dengan pendekatan multiperspektif. Jurnal ini menerima artikel yang berhubungan dengan pendidikan dan teknologi informasi. Editor dan mitra bestari Jurnal Al Battani direkrut sesuai dengan spesifikasi dan latar belakang pendidikan yang relevan dengan bidang keilmuan. Stimulus: International Journal of Communication and Social Sciences is annually published by Communication and Boardcasting Department of UIN Ar-raniry Banda Aceh, in cooperation with Dakwah and Communication Faculty of UIN Sunan Gunung Djati Bandung.This Academic Journal publishes original researches in multi concepts, theories, perspectives, paradigms and methodologies on communication studies related to social and cultural context in Indonesia. Every received article should follow Author guideline. Any submitted paper will be reviewed by reviewers. Review process employs Double-blind Review that the reviewer does not know the identity of the author, and the author does not know the identity of the reviewers. 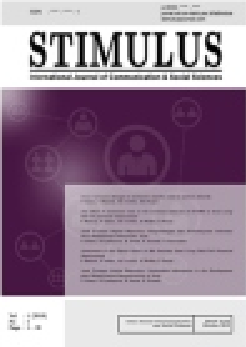 Stimulus: International Journal of Communication and Social Sciences has become a CrossRef Member since the year 2019. Therefore, all articles published by IStimulus: International Journal of Communication and Social Science will have unique DOI number.